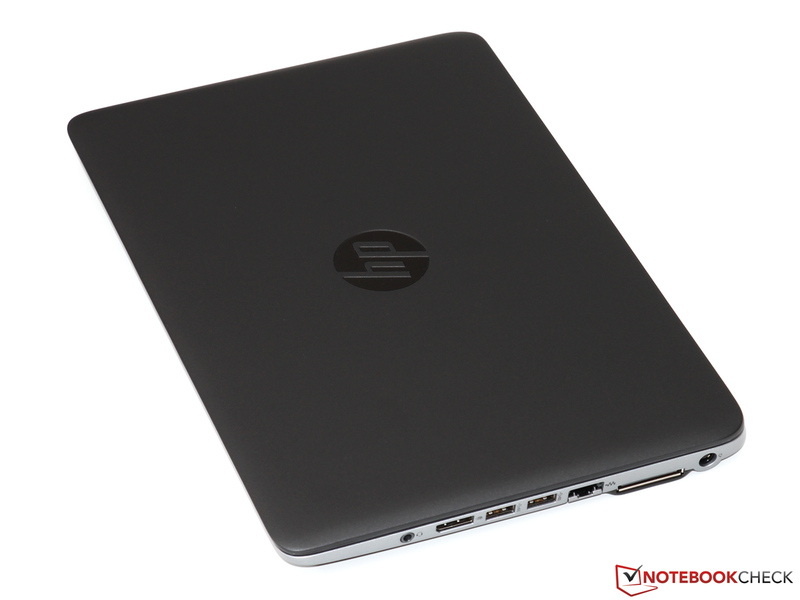 Chuyên bán Laptop HP Elitebook 820 G1 12 inch nhỏ, gọn, bỏ vừa cốp xe. 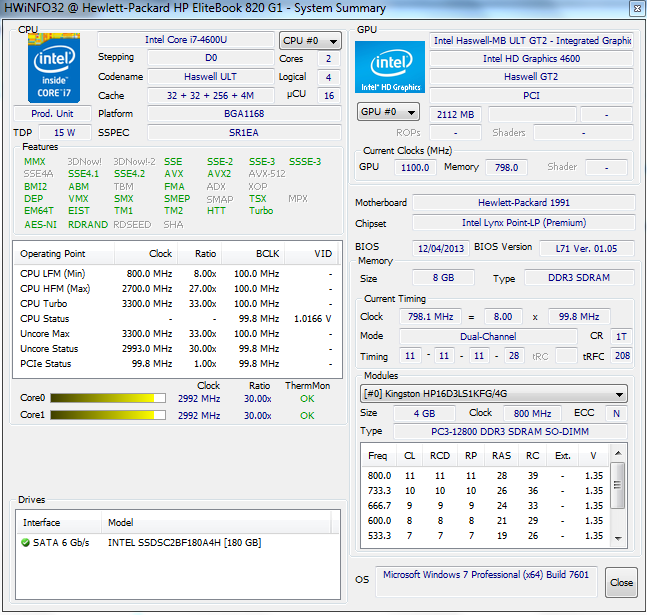 HP 820 G1 I5-4300U, ram 4G, SSD 128G. Có thể nâng cấp song song 2 HDD, 1 SSD M2 2242 + 1 HDD 500G-1000G lưu data. 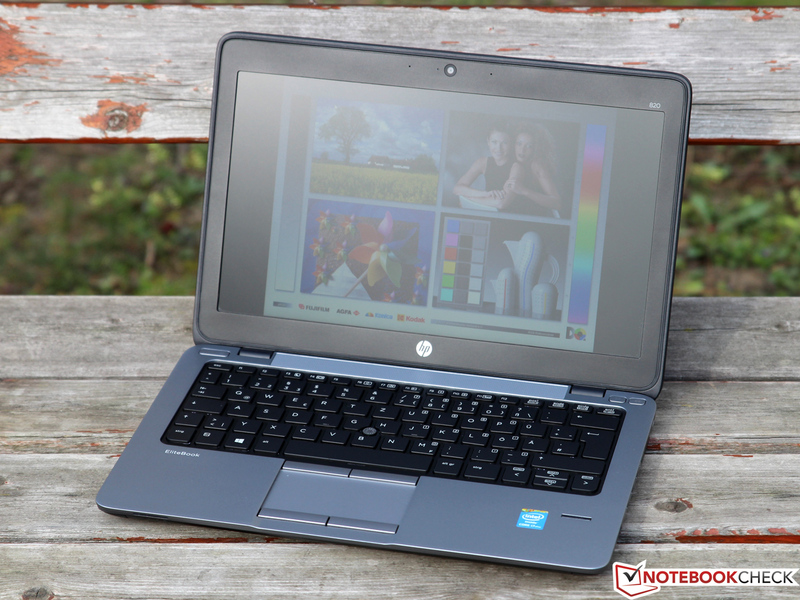 Laptop HP 820 G1 thích hợp cho nam hoặc nữ sử dụng đều được. Máy nhỏ, gọn, bỏ vừa cốp xe. Màn hình 12 inch, màu sắc chuẩn. 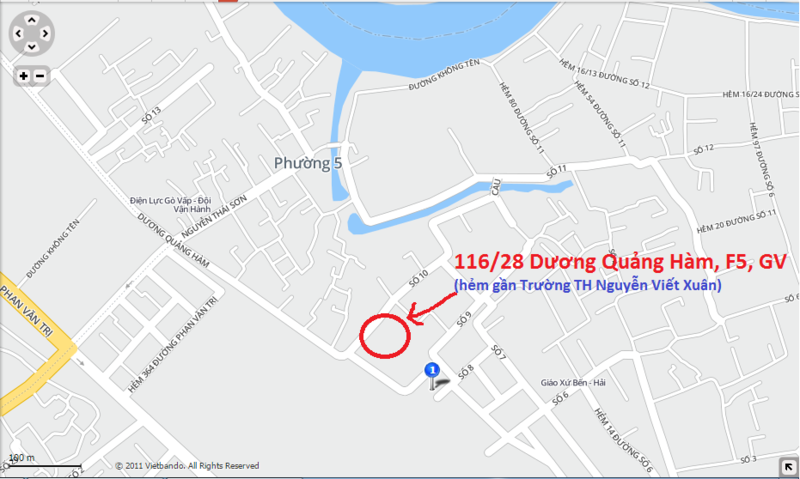 Pin sử dụng lâu trung bình 2H-4H. CPU I5-4300U chíp dán, chạy nhanh các ứng dụng văn phòng và đồ họa cơ bản được. Ram nâng cấp tối đa 16GB (2x8G PC3L). Chạy song song 2 ổ cứng - 1 SSD M2 128G hoặc 256G + 1 HDD chuẩn 2.5 inch sata dung lượng 500G - 1000G. Like the bigger sister model, the 820 G1”s meticulous build is impressive. 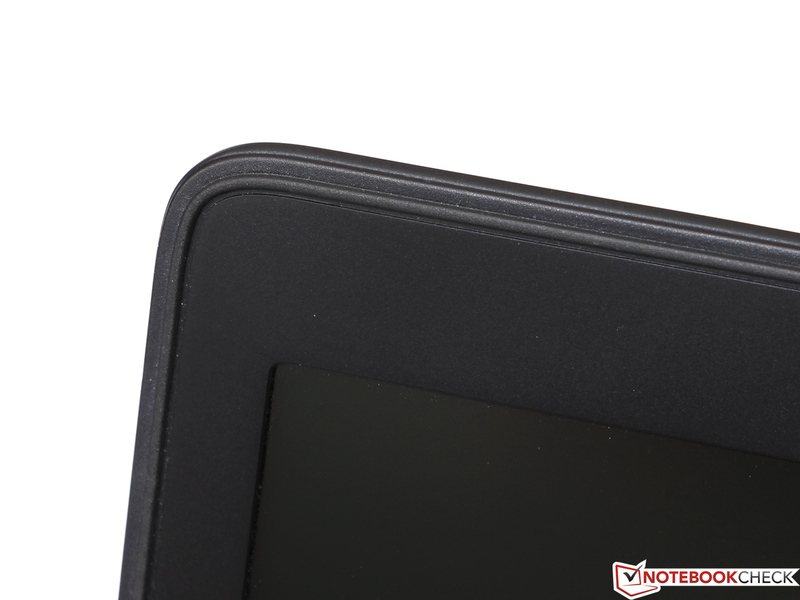 We did not discover any sharp edges or irregular material transitions; the manufacturer should only rectify the slight play between the display bezel and screen. In the course of redesigning the case, HP crossed out several outdated interfaces, such as the ExpressCard slot and the obsolete 56k modem. 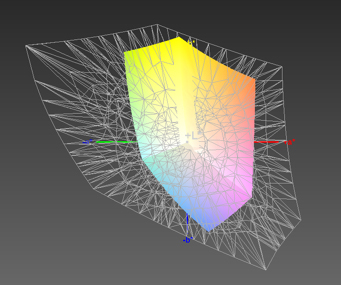 Besides that, all interfaces have been moved to both casing”s sides. The user now has three USB 3.0 ports, two display sockets (VGA and DisplayPort), a headset jack, and Gbit LAN available. Buying the approximately 170 Euros (~$237) "UltraSlim DockingStation" might be worth considering should that not be enough. It is connected to the laptop”s side, and supplies additional USB and monitor ports. 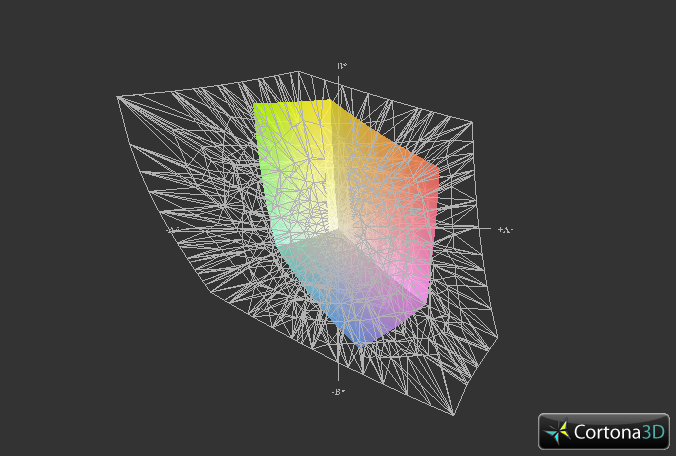 Overall, the interface positioning can be called good. However, we again have to reproach the very difficult to reach card reader. 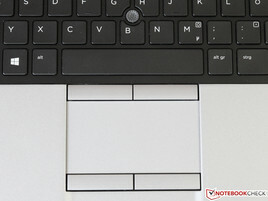 Instead of placing it below the USB ports, HP could have simply used an empty space on the laptop”s front. The manufacturer installs different Wi-Fi modules depending on the configuration; in our case, it is Intel”s Dual-Band Wireless-N 7260. Although this mid-range model does not feature the latest ac standard, it supports 802.11 a/b/g/n, and consequently also transmits in the less frequented 5 GHz band. Transmission rates of up to 300 Mbps can be reached owing to dual-stream technology (2x2), providing an appropriate router is on the other side. 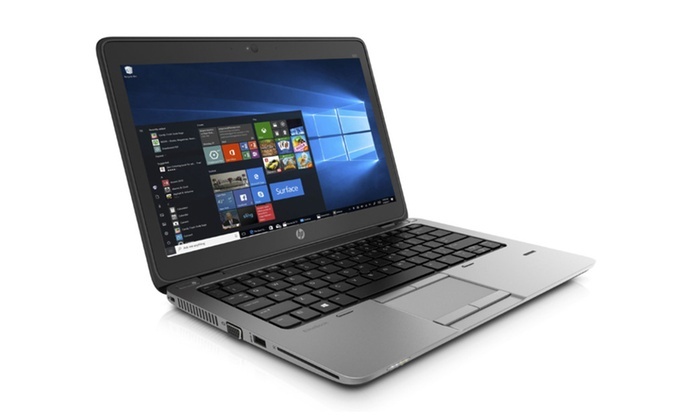 The EliteBook proved to have an above average range, and excellent connection stability even in difficult reception conditions in our practical test (o2 Box 4421, max. 150 Mbps). A practical slide mechanism secures the 820 G1”s base plate, and thus allows maintenance without tools. Since both memory banks and the 2.5-inch slot (7 mm height) of our review sample are furnished, only the empty M.2 slot (NGFF 2242) is left for potential upgrading. Naturally, the installed components can be replaced. Except for the soldered CPU, virtually the entire hardware can be exchanged in a few steps. Only removing and cleaning the processor”s fan would involve disassembling the device even further. 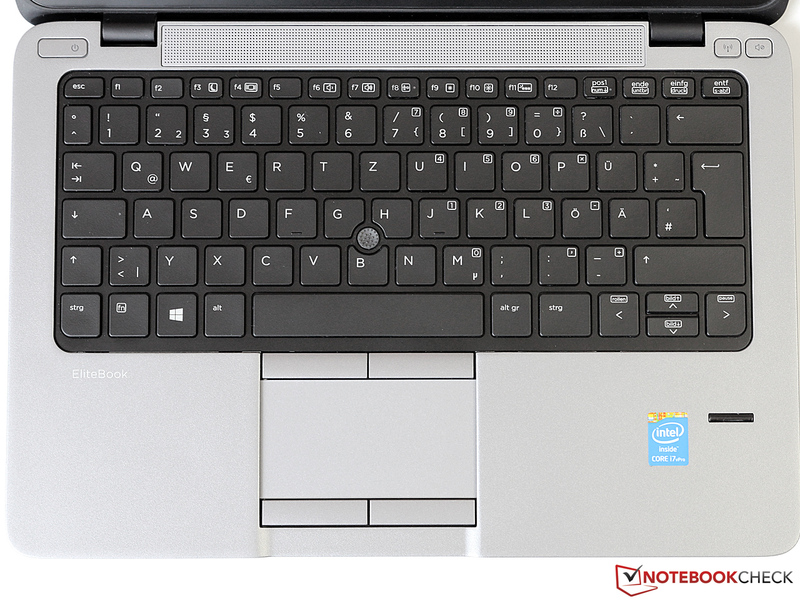 The EliteBook 820 G1 largely adopts the chiclet keyboard of the bigger 850 G1, but sacrifices one row of function keys (Scroll, Pos1, End, etc.) for space reasons. Otherwise, important similarities such as splash water protection and a two level backlight are still available, and the character keys” size of 14 x 14 millimeters has not been altered. We published an in-depth report about the keyboard”s typing feel and pressure point in a former review, to which we would like to refer to here. Nevertheless, there are minor differences. 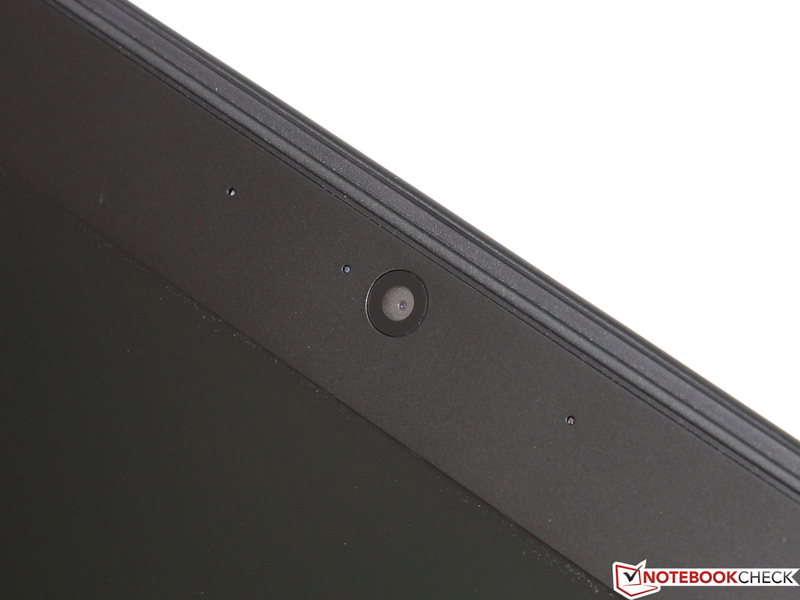 The yielding keyboard center that we criticized in the 15-inch model is virtually non-existent in the 820 G1. Subjectively, the keyboard provides a much crisper feedback, and thus achieves an even better rating. 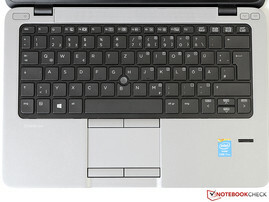 Unlike Lenovo”s laptop, HP does not integrate the mouse keys directly in the touchpad. Although the input field is relatively small for this reason (85 x 46 millimeters; ~3.3 x 1.8 inches), the higher user comfort more than compensates that. Good gliding properties and the high accuracy almost make the pad a full-blown mouse replacement. The various multi-touch gestures with up to three fingers also facilitate routine use. 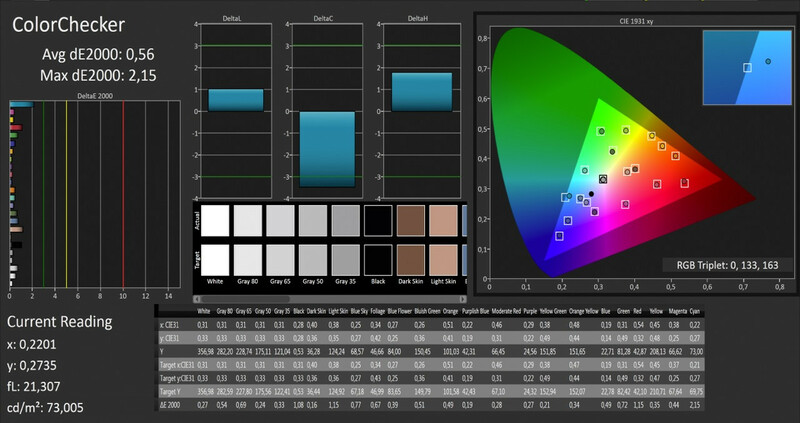 In return, slight improvements are seen in the screen”s maximum brightness, which has been increased from 165 to 211 cd/m². For comparison: We ascertained exactly the same rate in the (non-touch) E7240, although our review sample does not come close to the optional premium screens from Lenovo or Dell, which cost extra. At least the screen does not display distracting flickering or bleeding, and the luminosity is distributed evenly over the entire screen. 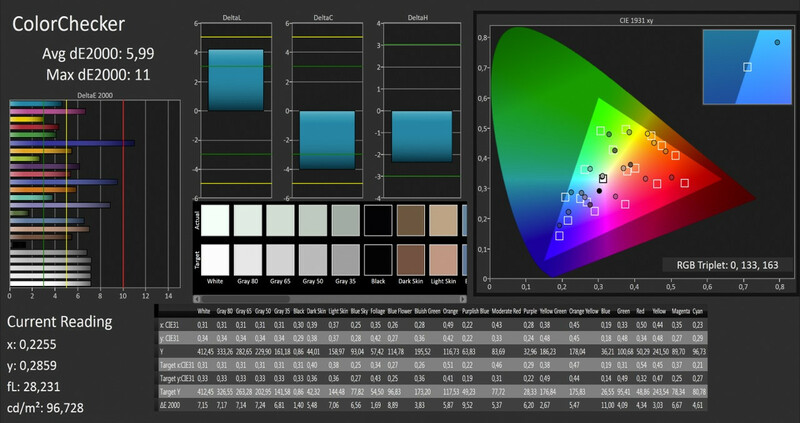 A marginal note about the screen”s color reproduction, which will be of interest primarily for photographers and graphic designers. A color space coverage of only 54 percent in the sRGB standard disqualifies the 820 G1 for many professional applications. 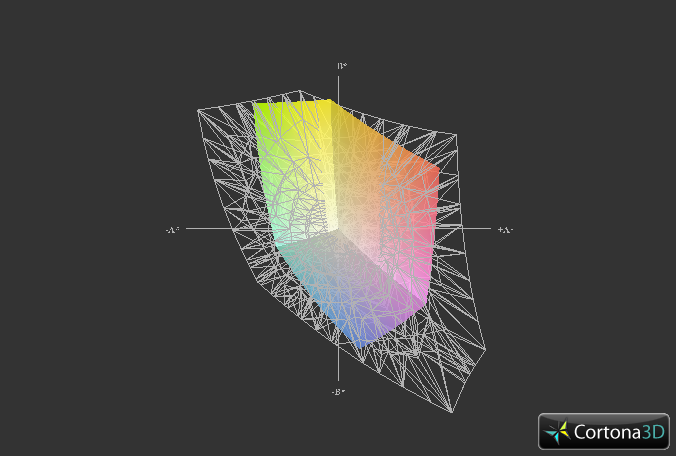 Besides that, the screen exhibits extreme color and grayscale shifts. 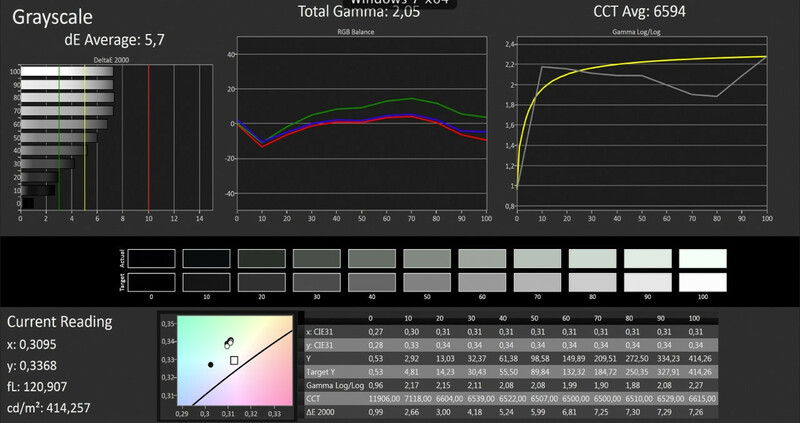 While they at least can be partially rectified via calibration, the visible bluish cast remains even in the ideal image settings. 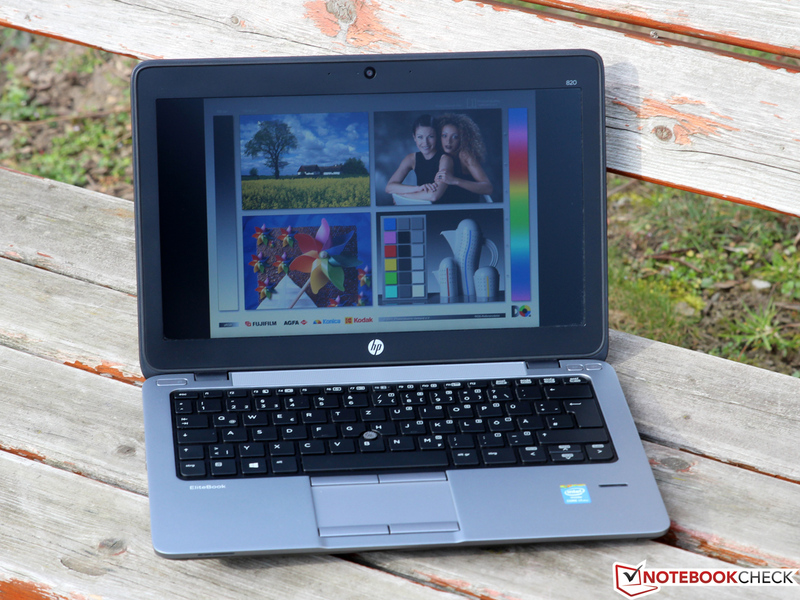 Despite its screen”s matte surface, the EliteBook is not without limitations for outdoor use. Although the screen”s maximum brightness is also achieved in battery mode, the rate of roughly 200 cd/m² is simply too low to defy bright sunlight. The manufacturer should most certainly make improvements here. A slight surcharge will unlikely make a difference considering the very high base price. 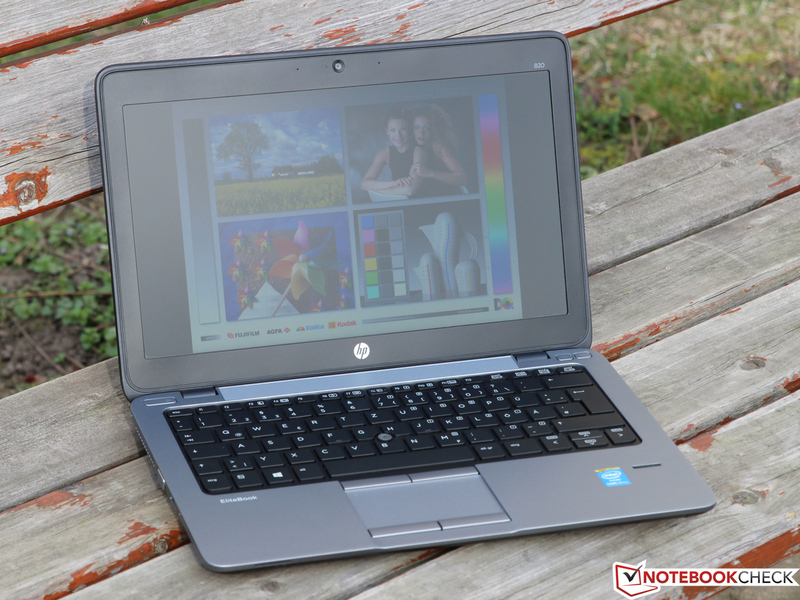 A version of HP”s Elitebook 820 with a higher-quality IPS screen has now found its way into our tests. 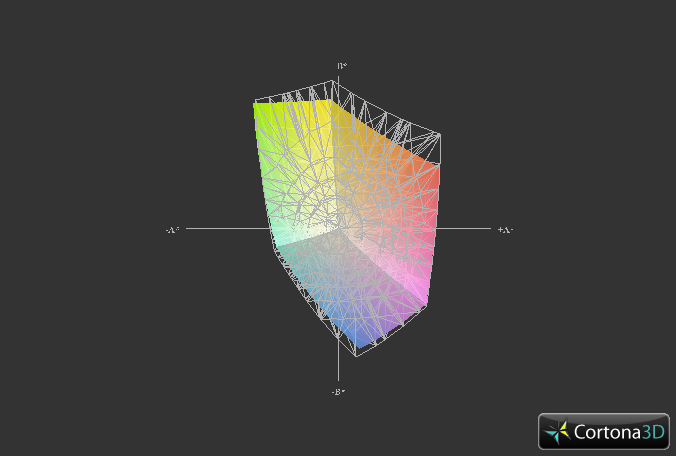 The device incorporates a screen from LG Philips (LGD0404) and like the base configuration, offers the same resolution of 1366x768 pixels on a screen diagonal of 12.5 inches (125 ppi). The available desktop thus remains the same, but the screen”s rates have been improved considerably. The limited cooling capacity of the small 12-inch chassis requires the use of energy-efficient ULV processors that are based on Intel”s latest Haswell architecture, and which the contenders also use. 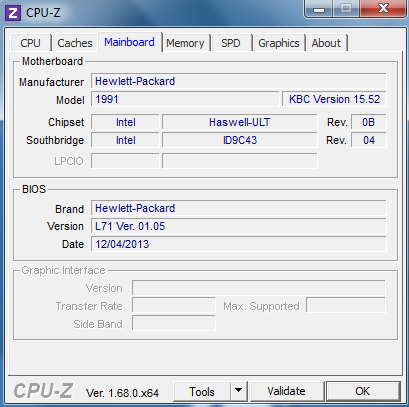 Depending on the configuration, HP installs various Core i3 and Core i5 CPUs; our premium model even sports the Core i7-4600U. 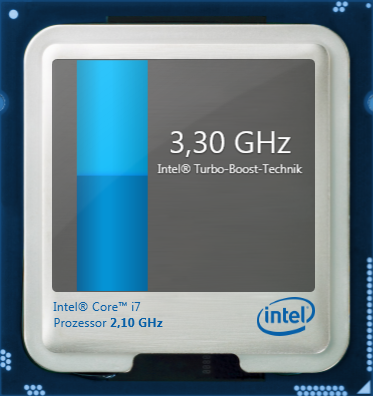 Its base speed of 2.1 GHz can be increased up to 3.3 GHz via Turbo Boost (2 cores: 2.9 GHz). 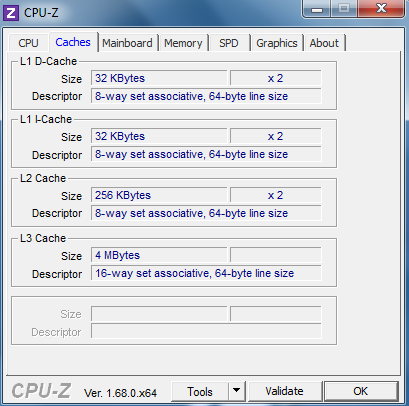 Additionally, Hyperthreading improves the multi-threading performance. 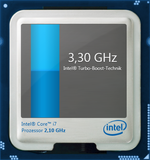 Intel builds the chip in a 22-nanometer process, and it is specified with a TDP of only 15 Watts (including the chipset). 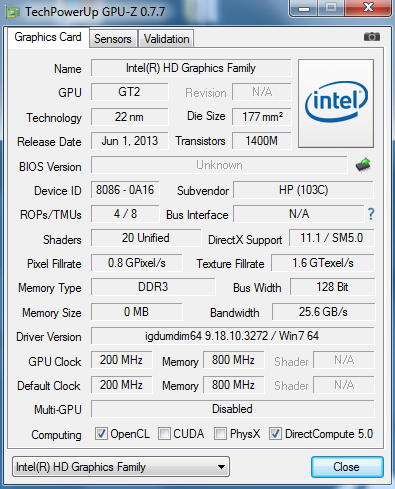 In addition to the screen, our updated configuration also sports a new CPU. 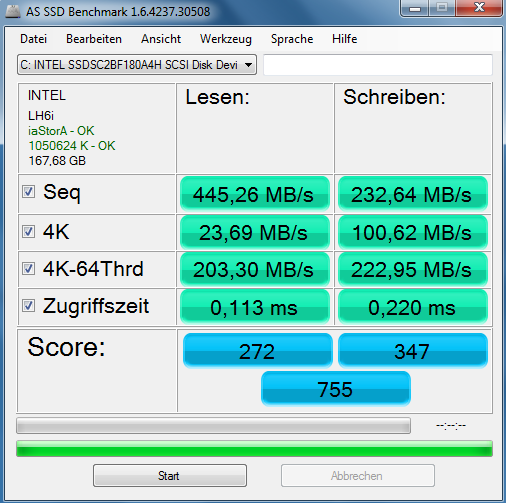 Apart from a marginally lower clock bandwidth (2.0 - 3.1 GHz vs. 2.1 - 3.3 GHz), Intel”s i7 4510U does not involve any significant modification compared with the i7 4600U in the original test setup. 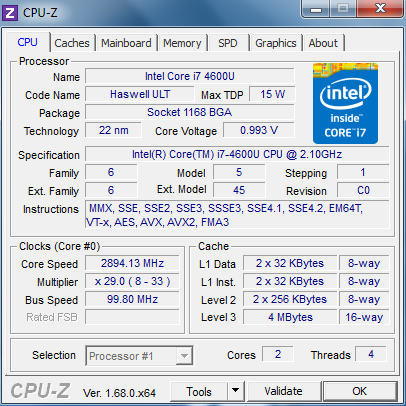 We even ascertained a slight advantage for the new 4510U chip in Cinebench R11.5 single-thread test, while the version featuring the i7 4600U keeps the lead in the multi-thread test. 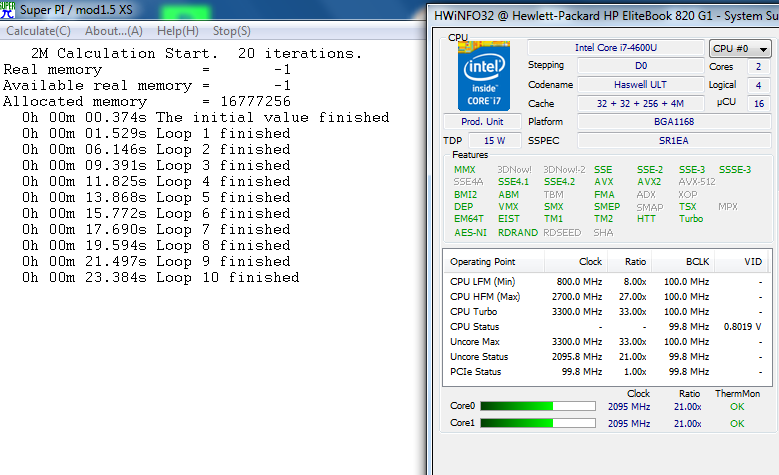 Overall, the chip is just behind the i7 4600U and just before the i5 4300U. There should only be a few situations that exhaust the laptop”s performance reserves in practical use. Owing to the SSD, the operating system and applications load without significant waiting times, and the processor also easily copes with demanding software and multitasking. Anyway, a noticeable performance boost would only be achieved by means of a quad-core CPU, which is hardly feasible in this form factor. The casing”s inner temperatures are just as uncritical. 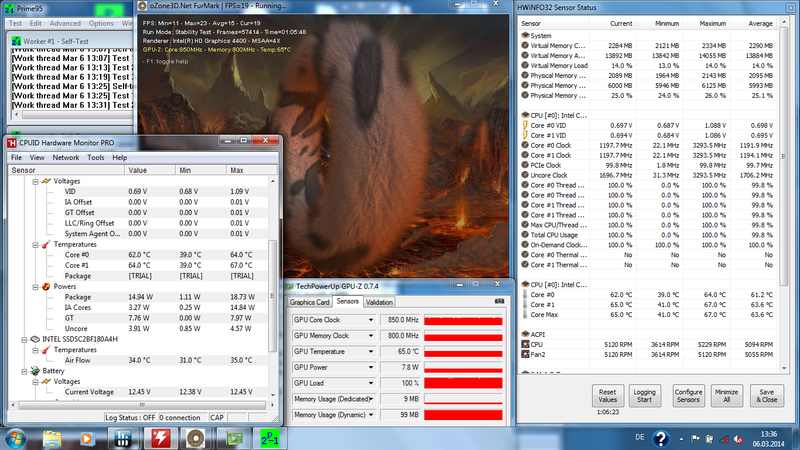 Our stress test, consisting of Prime95 and FurMark, drive the CPU to approximately 65 °C (149 °F); the manufacturer specifies a maximum of 100 °C (212 °F), which will unlikely come close to being reached even in warm summer months. 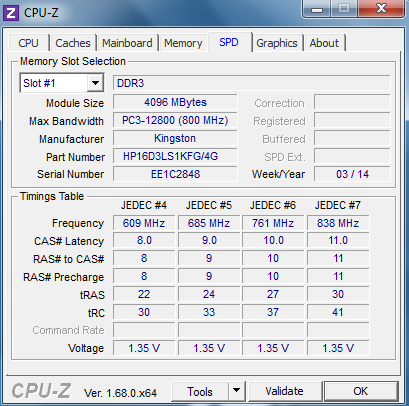 The CPU”s throttling to 1.2 GHz can be explained with the TDP”s limit of 15 Watts. 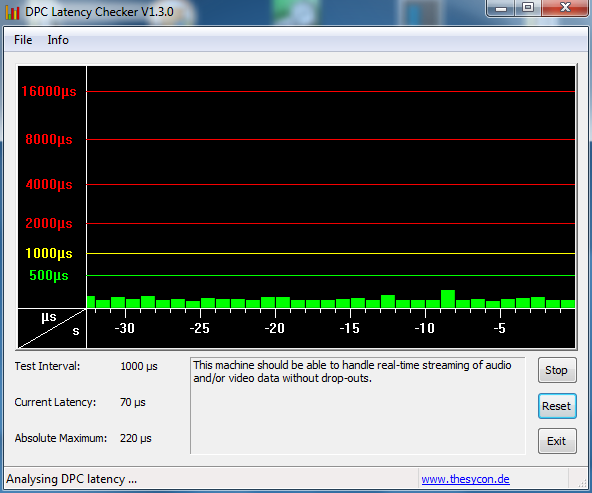 The graphics unit claims the majority of that, and its clock rate settles to 850 MHz. 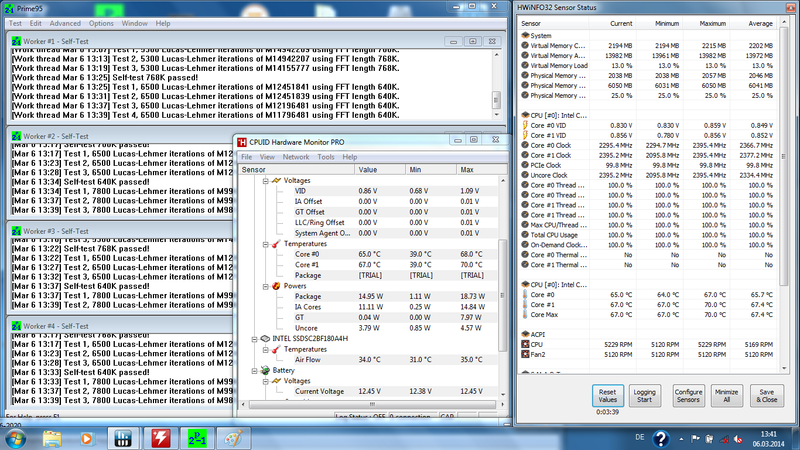 An interesting side note: The second memory module causes the uncore area”s consumption to increase by a good 0.5 Watts. 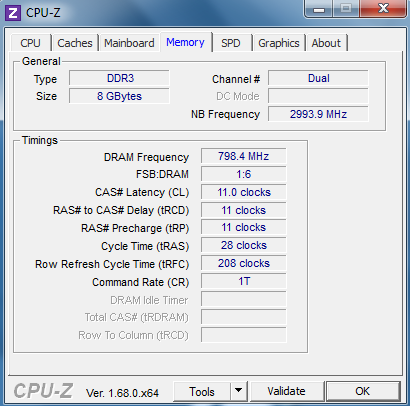 When removed, the CPU and GPU can achieve an almost 100 MHz higher clock rate. Both speakers located above the keyboard disappoint with their high-pitched and weak sound that completely lacks bass. 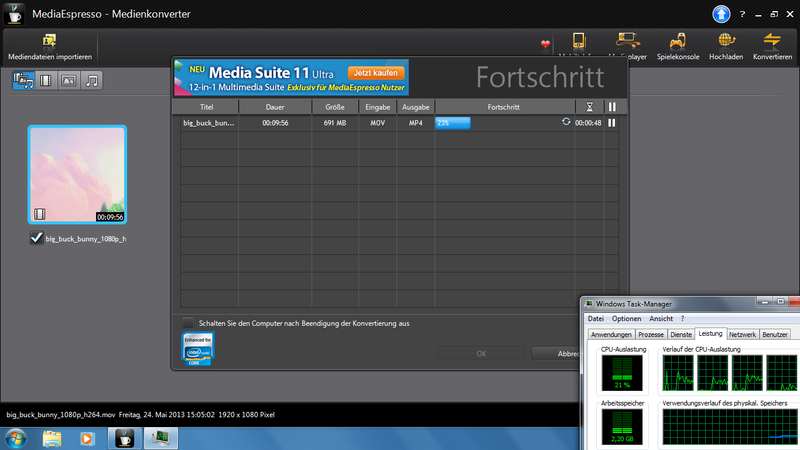 The high maximum volume that is quickly accompanied by distortions is one of the speakers” few advantages. Connecting an external sound system thus seems recommendable. The low-noise jack or an external USB solution can be used for this purpose. 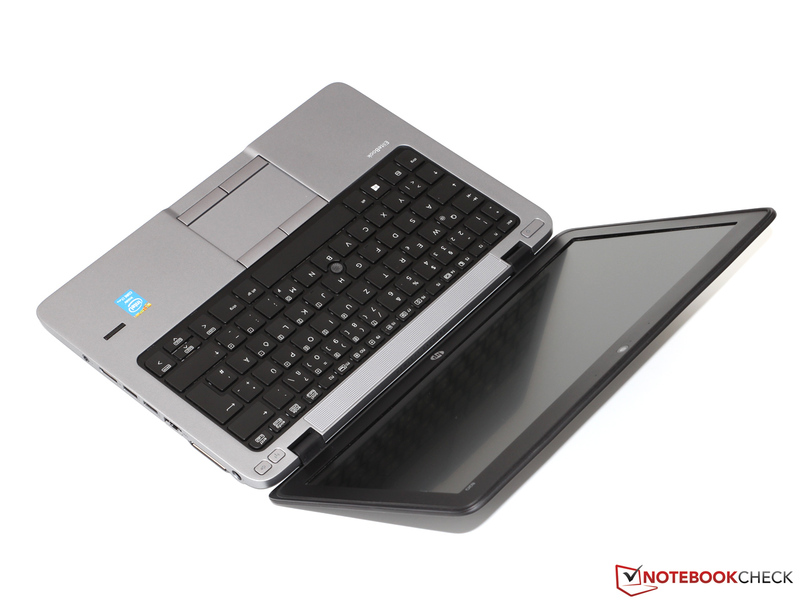 The EliteBook is satisfied with 3.2 to 7.5 Watts when idling, and is on par with both the Latitude E7240 (3.7 to 6.6 Watts) and the ThinkPad X240 (3.9 to 7.3 Watts). 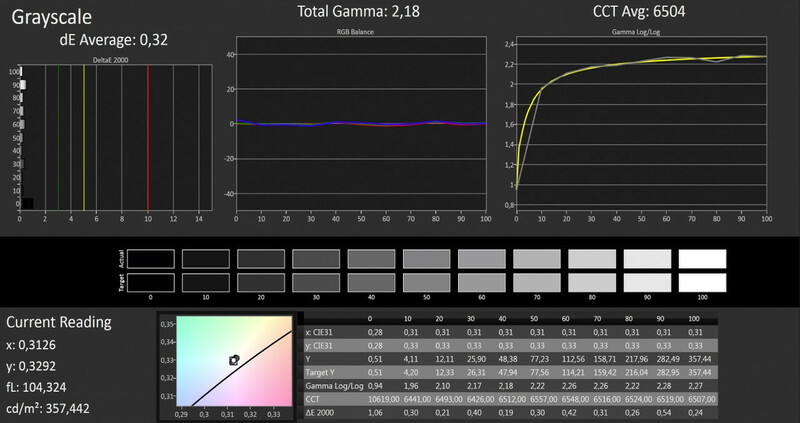 Therefore, the 820 G1”s considerably darker screen apparently does not offer any significant advantages in consumption. In fact, runtimes ranging from 2 hours in Battery Eaters Classic test (high-performance, maximum brightness, wireless modules on) and 13.5 hours in the Reader”s test (energy-saving mode, minimum brightness, wireless modules off) are very impressive. 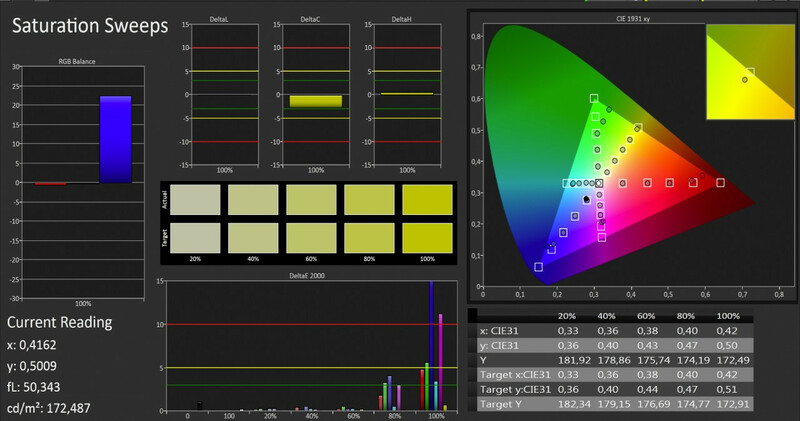 A practical runtime of approximately 6 hours is realistic, as our Wi-Fi and H.264 assessments using an adapted screen brightness (~150 cd/m²) show. 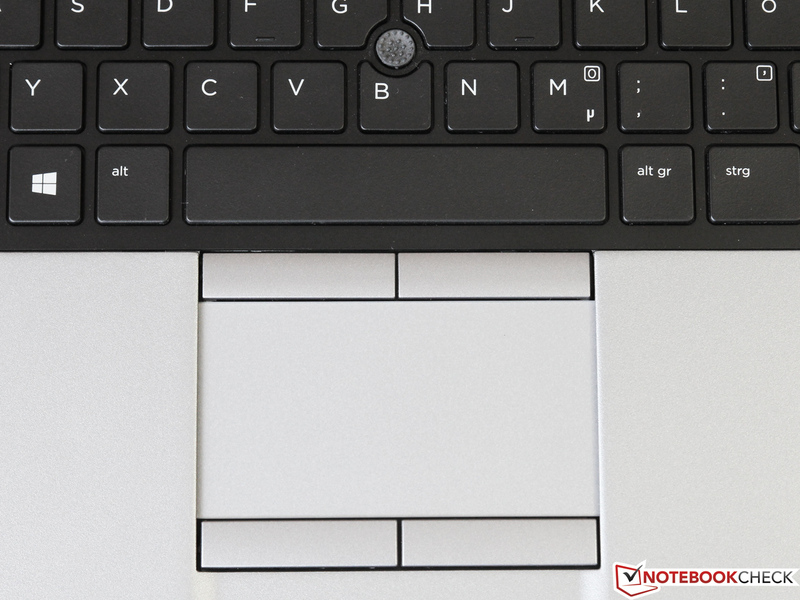 Overall, the EliteBook places itself exactly between the Latitude E7240 and ThinkPad X240, which both have an identically sized battery. So far, so good - if it were not for the screen. Its extreme viewing angle dependency, poor color reproduction, and middling brightness let us ask whether this is necessary in a laptop from this price range. 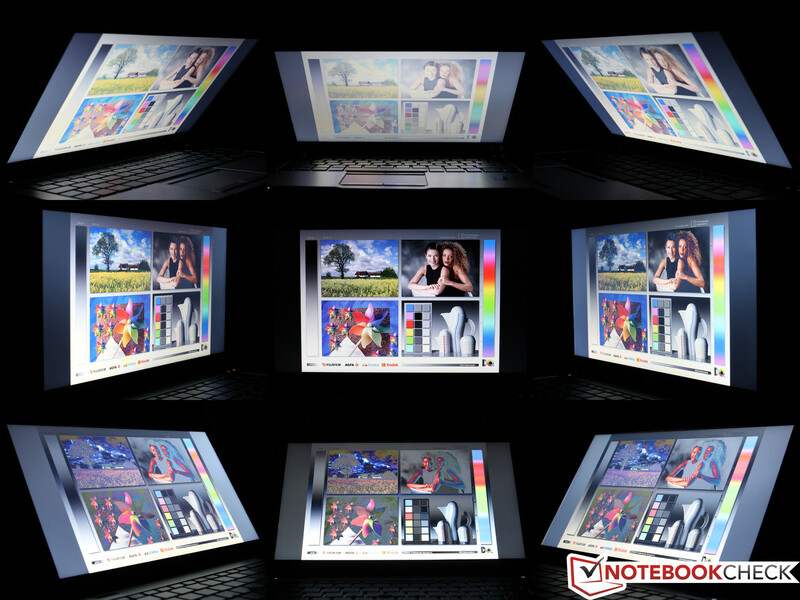 Lenovo and Dell both offer optional Full HD displays with an IPS screen - why not HP? The EliteBook”s spec sheets list an alternative "premium" screen that only has a resolution of 1366x768 pixels, but which is not installed in any regional model.